Number 5 in the 12-part Songbird's Garden Series. 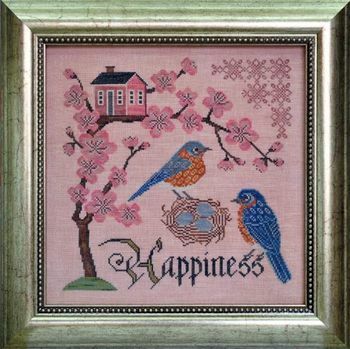 "Bluebird of Happiness" is stitched on 36ct Sanguine linen by Weeks Dye Works. Stitch count is 159w x 159h.